Former Fed Chair Alan Greenspan believed that men’s underwear sales signaled where the economy was going since both seemed to decrease at the same time. He could also have checked the divorce rate and hemlines. 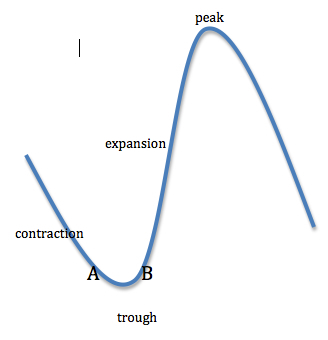 Both reputedly descend when the economy contracts. Now we have another metric. It just requires looking up. A tally of tower cranes can tell us about economic activity. Tower cranes are the really big ones. They lift materials like concrete and steel as high as 80 stories. Including hotels, convention centers, and stadiums, the projects they work on are large. 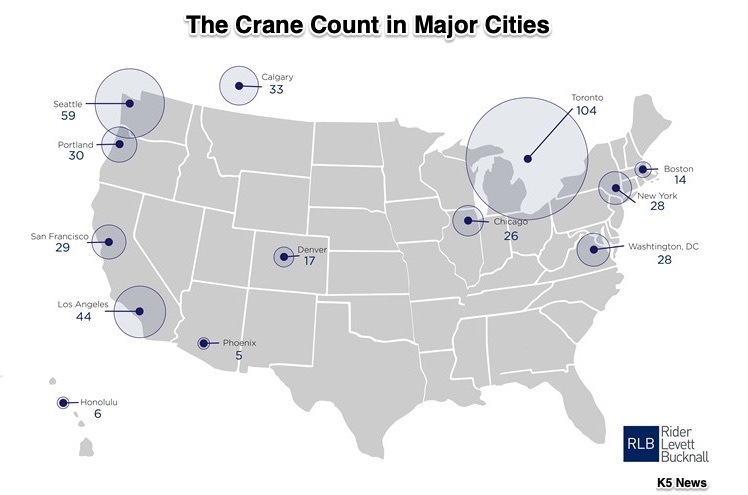 By counting cranes, we can get an idea of where economic activity in that area has been heading. Not quite scientifically, a construction consulting firm has been doing the count in 13 major North American cities since 2015. Mainly they look up and eyeball the totals twice a year. Then, for some validation, they try to look at building permits. I suspect that we can get a better sense of economic activity if we do some comparing. 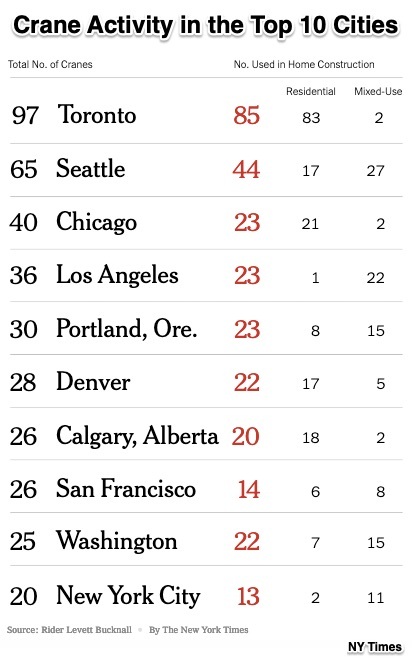 Then we find out that Toronto’s total was up (97 to 104) while Seattle’s (65 to 59) and Chicago’s (40 to 26) went down. In addition, only now has hiring in the U.S. construction industry gotten close to where it was before the Great Recession. In 2006, a year before the Great Recession began, the industry employed a previous high of 7.69 million workers whereas last year, that number was 7.46 million. The building permits that result in the need for tower cranes are a leading indicator because they signal a future with more or less construction. My sources and more: It’s always interesting to read about alternative economic indicators. Quartz had the story on underwear while the NY Times looked at cranes. Then, to tie it all to business cycles, do go to the NBER website. Those recession dates are really interesting. Please note that this post was slightly edited after publication.